A traditional British Afternoon Tea is becoming increasingly popular, be it an intimate setting for two, a group celebration such as a baby shower – you can even find Afternoon Tea as a wedding breakfast option. The virtues of 'April in Paris' have been sung by many a swing legend including Ella Fitzgerald, Louis Armstrong and Frank Sinatra to name just a few. Well, we say forget Paris! In the words of William Shakespeare, “All the world’s a stage”. February half term is just around the corner so it’s a great time to start planning your Suffolk holiday whether you're bringing along the kids or fancy a getaway for two! There’s no doubt that winter has firmly settled in the county – but coming to visit our county during this time can be the most enjoyable. If you’re planning on visiting the Suffolk Coast this year then we think there are two must-see locations you’re sure to love – the seaside town of Aldeburgh and the seaside village Thorpeness. So, Christmas is over for another year and it’s time to start thinking about the next big thing in your life – the family holiday. As 2016 comes to an end and a new year is on the horizon, it’s clear to see that Suffolk has some amazing locations for holidays and days out. The winter season has arrived in Suffolk so it’s time to pop on a double layer of socks, a parka, hat, scarves and gloves because it’s time to enjoy the great outdoors. Christmas is coming! 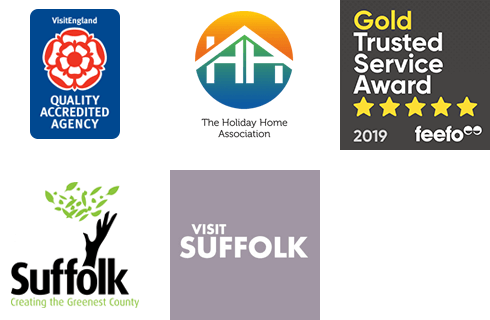 We are very excited to be welcoming all our lovely guests to our wonderful Suffolk holiday cottages for the festivities. Here are some helpful tips to give you the best start to your Suffolk Christmas holiday.